The mighty NEWCLEUS, my contribution to the Hip Hop Family Tree vol. 2 by Ed PIskor. So glad I got the chance to honor one of my favorite acts of that era. Bob Camp & Bill Wray have lent their talent to this outfit, so I’m definitely in good company! Hi Michel! Early last year I discover Zegas in the zine section at Multinomah Portland Library. Then a few months ago I was at my nieghboorhood comic shop, Bridge Town comics and found the first three Copra compendium issues, but no forth issue..are there plans for a forth issue or do I have to buy issues 10,11 & 12? I gotta tell you that I’m truly inspired! I’m in the process of writing and drawing my own epic comic and I’m having a really tough time with the writing process. I also have a four month old baby, so things have really slowed down. 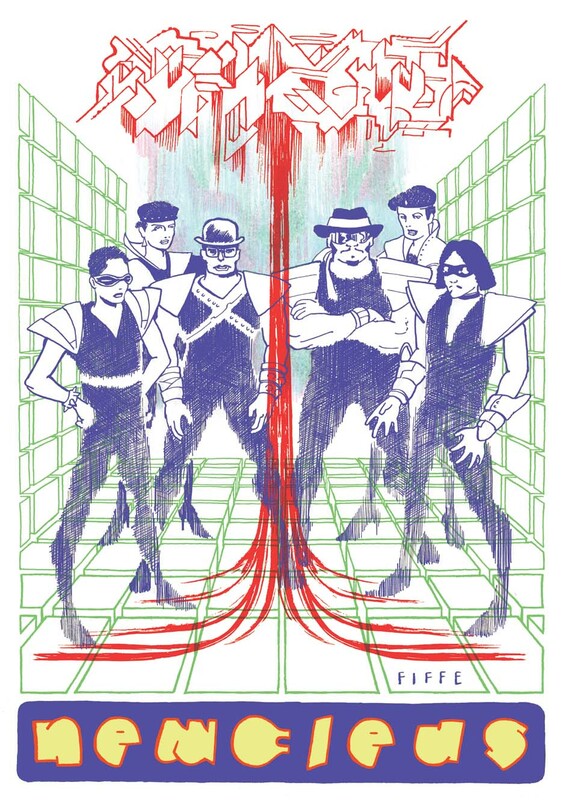 Anyway, I particularly love the printing process on Copra with the mat covers. Do you mind telling us what printing company you used? And finally, I had to comment when I saw this NEWCLEUS splash page! I’ve always loved old school electro rock and in the early 80’s I had the first NEWCLEUS cassette tape. 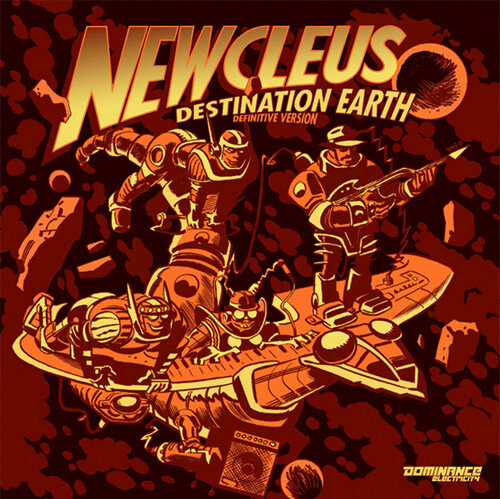 Even the album art was cool, it was illustrated in a cartoon style and the NEWCLEUS crew was aboard a flying stage that looked like a ship.